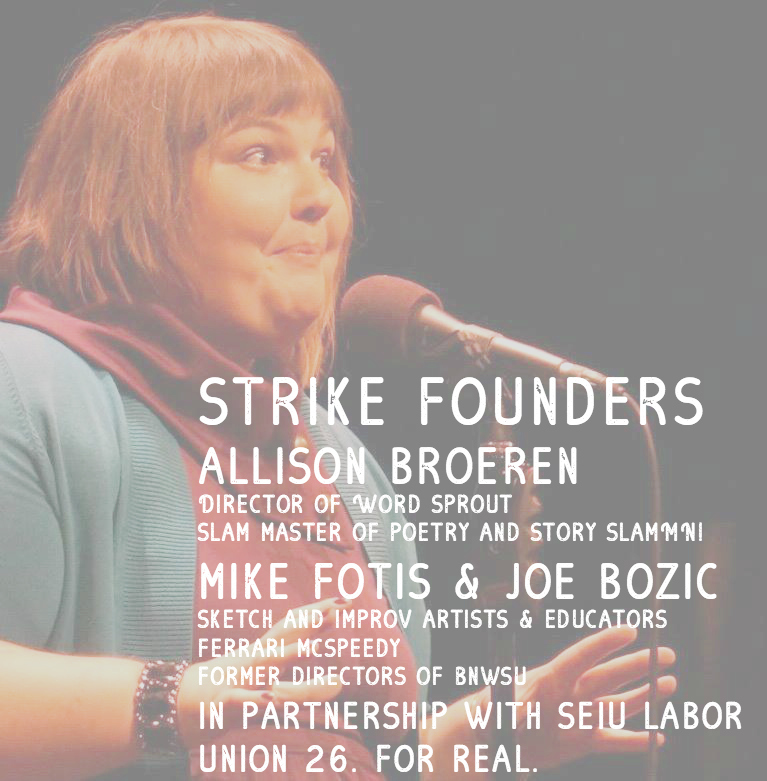 Strike Theater is dedicated to Twin Cities sketch comedy, storytelling, and spoken word. Founded by Director of Word Sprout and SlamMaster of Poetry and SlamMN! Allison Broeren, and longtime Improv Artists, Educators, and Brave New Workshop Alumni Mike Fotis and Joe Bozic. In partnership with SEIU Local 26 Janitor/Window Washer/Security Union. For real. It's awesome. Trust us. Together we Strike. Dedicated to building a community for sketch comedy, storytelling and spoken word.